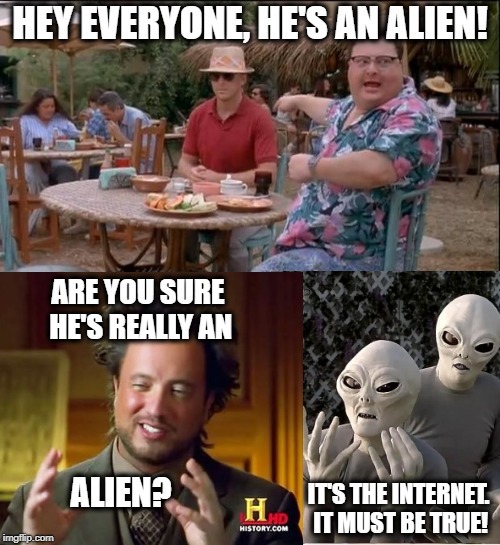 HEY EVERYONE, HE'S AN ALIEN! ARE YOU SURE HE'S REALLY AN; ALIEN? IT'S THE INTERNET. IT MUST BE TRUE!